I love browsing pinterest, who doesn’t by the way? 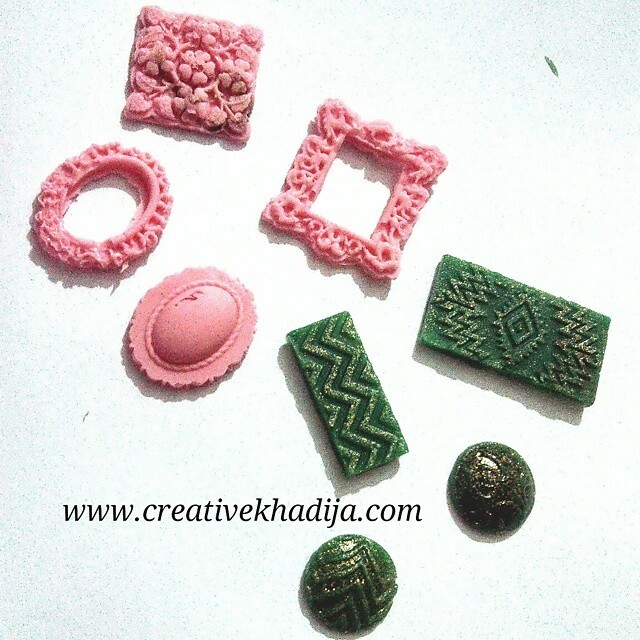 Specially bloggers and craft lovers, who are always looking for inspiration and trending crafts ideas. 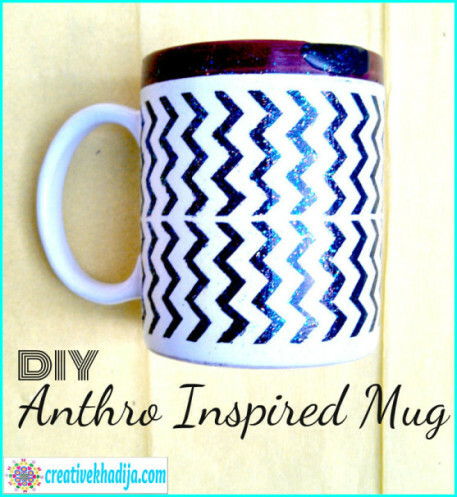 Are you following me on the Pinterest? I have some good collection of pin boards and ideas there. 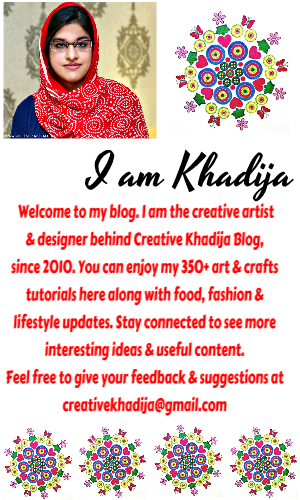 I would really appreciate if you will follow Creative Khadija on Pinterest. As I have mentioned in my previous blog post about some paints I have received for test and try, so these days I am looking for inspiration to apply them. 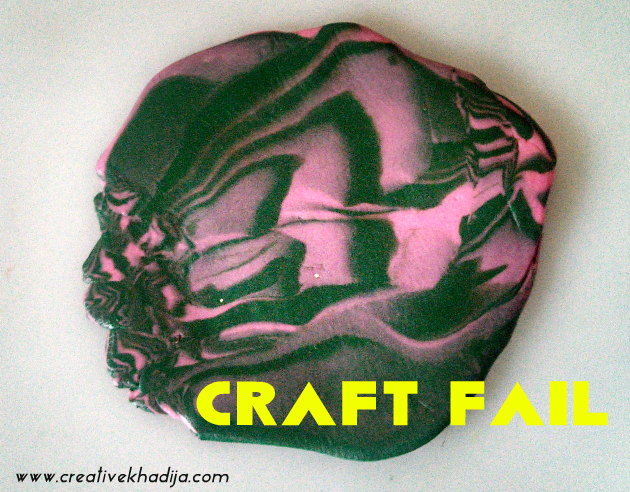 A few days back while checking pinterest, I saw few color block ideas on wooden coasters and trays. I found those very fancy and thought to try some paints on wood. 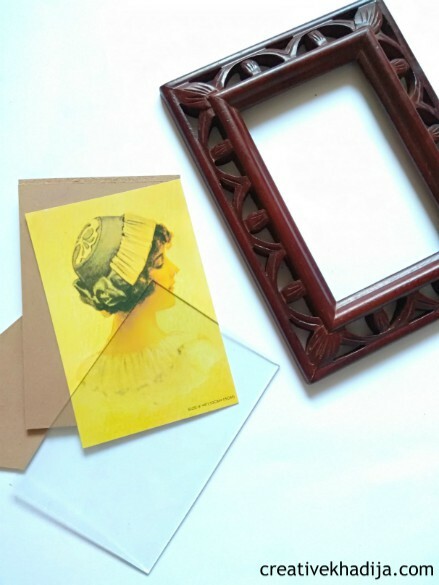 One of my dear blogger friend gifted me this photo frame on my birthday last year. 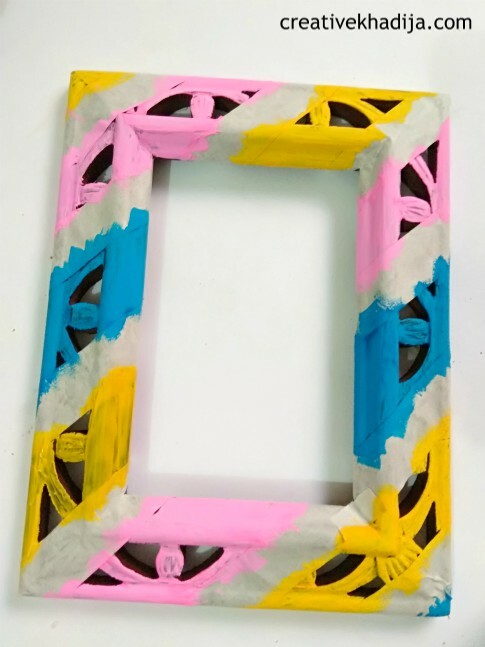 I thought to give that photo frame NEON look with some paints. This wood carved photo frame is going to be a victim of my today’s craft-fail. Have a look and read the story now! Neon colors are always my favorite, I like to wear neon colored outfits during summers as well. You may remember my neon handmade jewellery too. 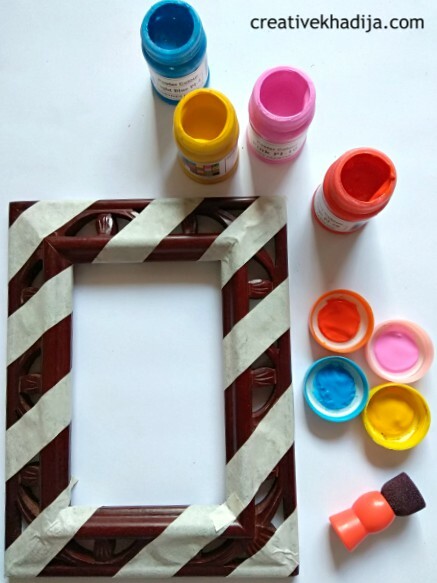 So I selected some neon paint colors to give this wooden photo frame a colorful touch. First, I separate the glass and back side of frame from the front. It will be easy to carry now while painting as well as paint spots will not be making mess on the glass. 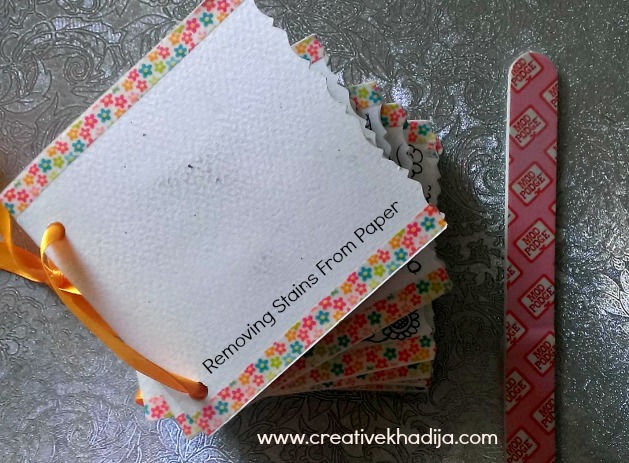 If your frame glass is not detachable, you can cover it with the same paper tape. 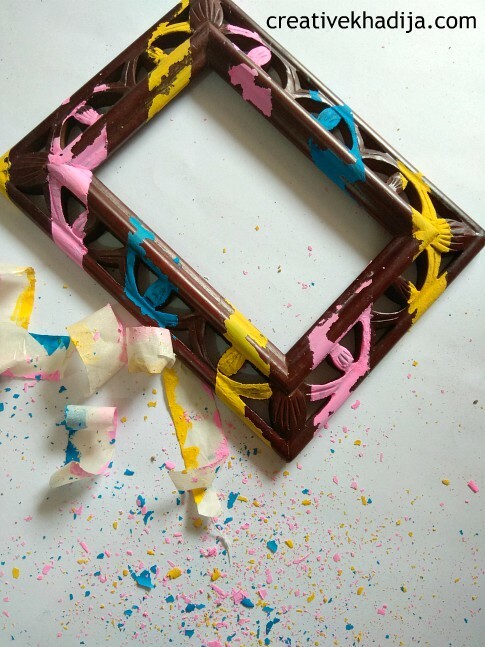 Cover the frame with paper tape in any pattern you like. I am randomly pasting one inches broad tape diagonally. Then paint it carefully. I started with lemon yellow color first. Then one by one fill the space with other neon colors of your choice. I used foam applicator and paint brush both for covering the carving of wood. Completed the painting on the frame and let it dry for a few hours until it gets complete dry. I was working on some other craft so I let it as it is and started working on the other thing. Next day when I removed the paper tapes, this is what happened.. So here is the mess I have created. About yesterday it was all good but as soon as I remove the tapes, all of the poster paint got chipped and when I touched the wooden surface, almost all of it peel off. You can see in the above picture. What a beautiful mess though!! Isn’t it? Basically poster paints are for paper or card material, not for the fabric or wood. I knew it already but I don’t know why these neon poster colors fascinated me enough so I tried it. I should not be trying honestly. Poster paints quality was fine but the wooden frame was polished well and with shiny surface. Spray paints can work well on it. 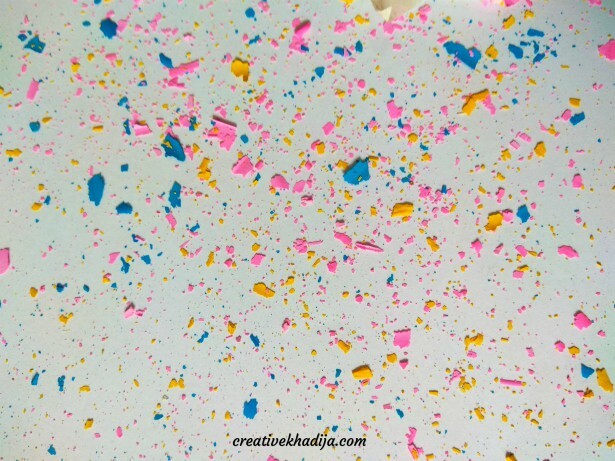 Do not experiment poster paints on any other surface unless it’s some paper material. I washed the frame with water under the tap & removed the paint from the frame completely. It was very easy and frame is back to it’s previous condition. I gave it shiny look again by rubbing a few drops of oil with a cotton piece. Everything is fixed well again! Right? You know these failures are good to teach you something. 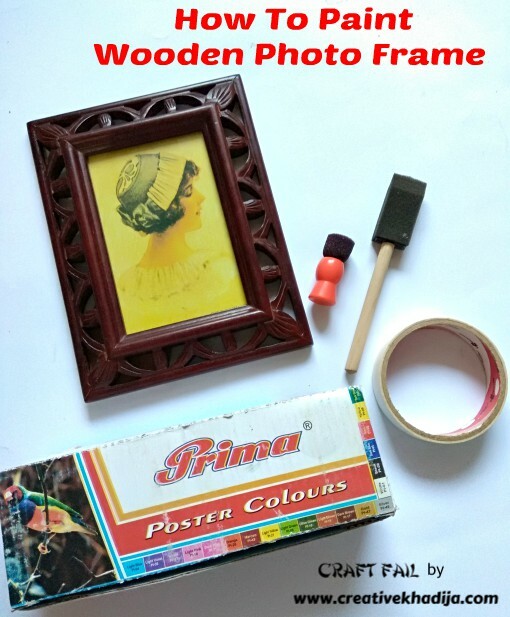 You can still follow these steps to paint the wooden photo frame BUT make sure you are using the right type of paints on your frame. You can try spray paints or acrylic paints instead of poster paints. 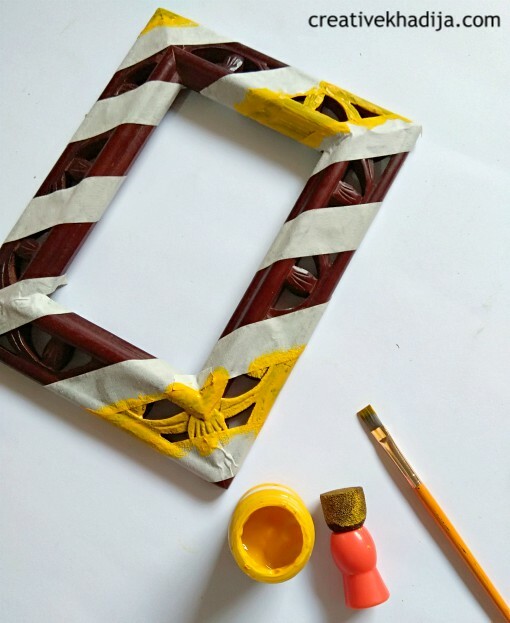 For any color block painting DIY you can follow the same steps as well. Everything on Pinterest looks perfect but sometimes it’s not perfect. Be careful when you try something inspired by Pinterest. I hope you will not be making any mess like I did. 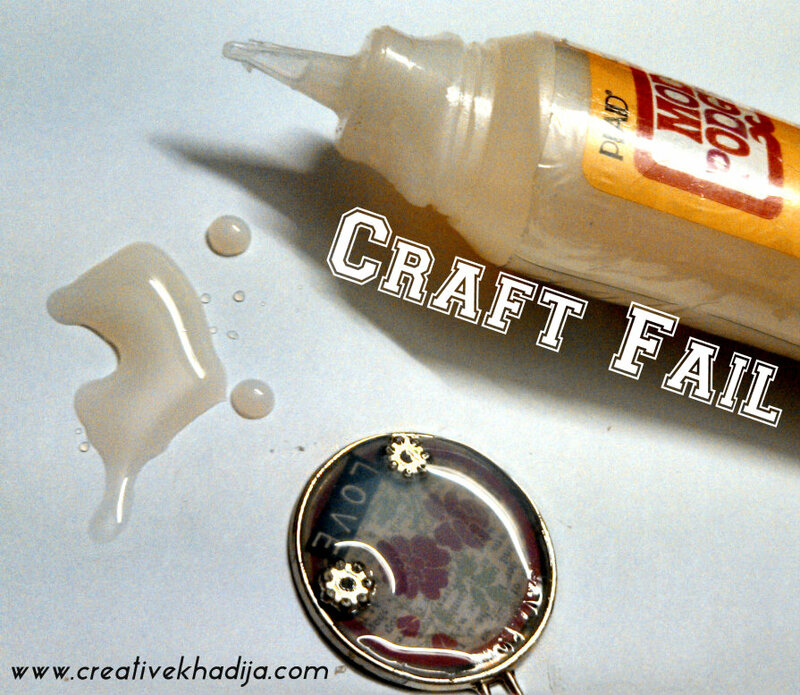 You can check a few of my other Craft Fails here too. I hope you enjoyed my today’s blog post. It’s getting lengthy & I should be saying good bye now :) Stay connected! Interesting experiment. Would you be trying out another paint type? Maybe a tinted varnish? That would be great! Oops but at least you tried it and know it doesn’t suit such frames! A little learning from this tiny failure!